Brandon Turkus March 27, 2018 Comment Now! 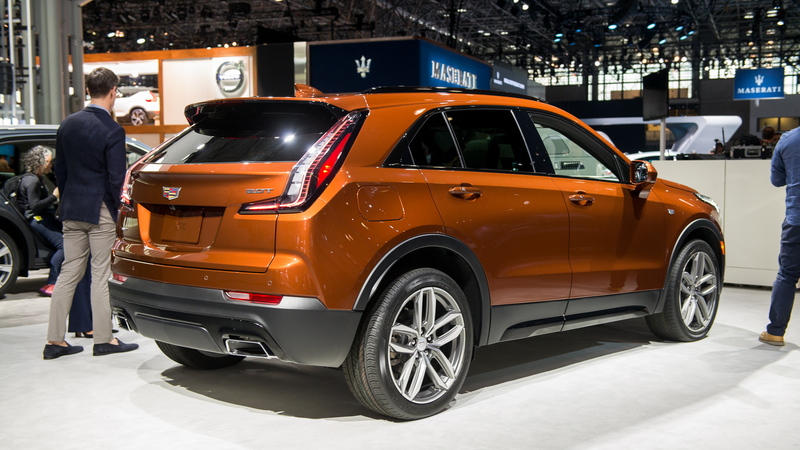 The 2019 Cadillac XT4 has a lot riding on its shoulders. 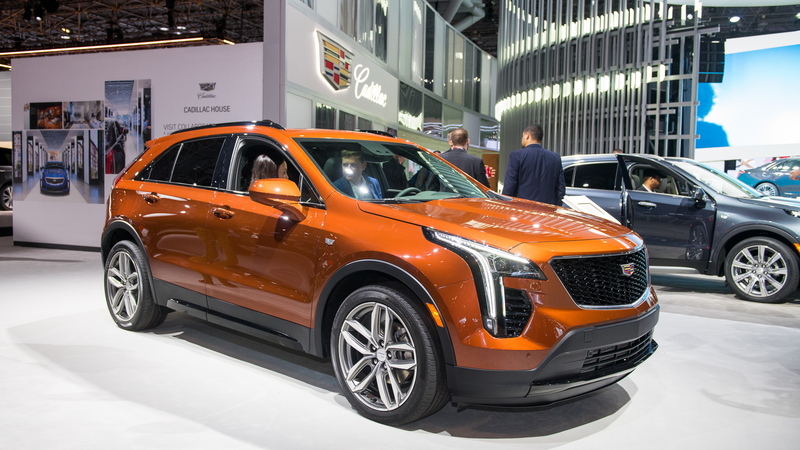 Cursed with a sedan-heavy lineup—there are four sedans to just two utility vehicles—the XT4 is the vehicle that finally opens Cadillac to the luxury market's most lucrative segment, the compact crossover class. The XT4 uses a familiar formula for the task. There's a 2.0-liter, turbo-4 (237 horsepower and 258 pound-feet of torque, estimated 30 mpg on the highway), a transmission with too many gears (nine, in this case), an available all-wheel-drive system, plenty of available electronic safety nannies, a large touchscreen infotainment system, and starting prices that won't discourage older millennials saddled with student loan debt—$35,790. 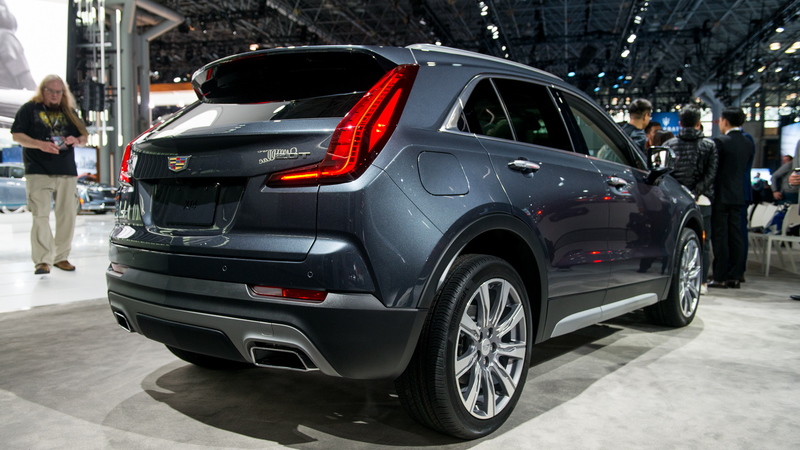 We could apply that entire last sentence to every one of the XT4's competitors. But the XT4 does some things differently. 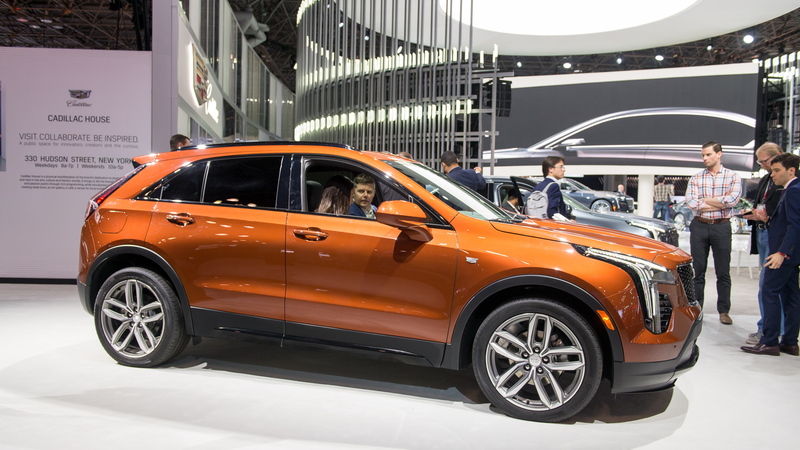 For a start, its exterior style feels less anonymous than the competition—not just because of the lurid shade of pre-bankruptcy General Motors Orange on the show car. The front wears an attractive grille and headlight pairing, a Cadillac shield unburdened by granddaddy's wreath, and purposeful lines on the hood that write checks it'd take a V-6 to cash. The greenhouse appears expansive, making the XT4 feel larger than it is, while an aggressively raked D-pillar arrives late to the party. The effect is a quarter window that's worth at least 50 cents. These are good things for a tiny crossover. The cabin is large enough for four adults, but maybe not their all of their luggage. Cadillac claims there's 39.5 inches of second row leg room, which is more than you'll get from BMW, Mercedes-Benz, or Audi. But that space comes at the expense of cargo capacity, 22.5 cubic feet with the seats in place—fold the second row down, and the XT4 offers 48.9 cubic feet of space. BMW and Audi both exceed 60 cubes, while Mercedes outpaces the Caddy with a 56.5-cubic-foot maximum. There's also some interesting new technology. Near-field communications—the same technology that makes allows you to tap a reader with your iPhone to make a purchase—comes to the XT4 in a bid to facilitate Bluetooth pairing. The XT4's available wireless charger is an improvement too, offering 15-watt charging capability. It's hard not get the impression that the XT4 is playing an established game rather than making rules for itself. The single engine choice—for the time being—prevents it from challenging V-6-powered competitors. It has active safety systems, but they're infuriatingly restricted to an options package, and only then for the mid- and top-level trims. 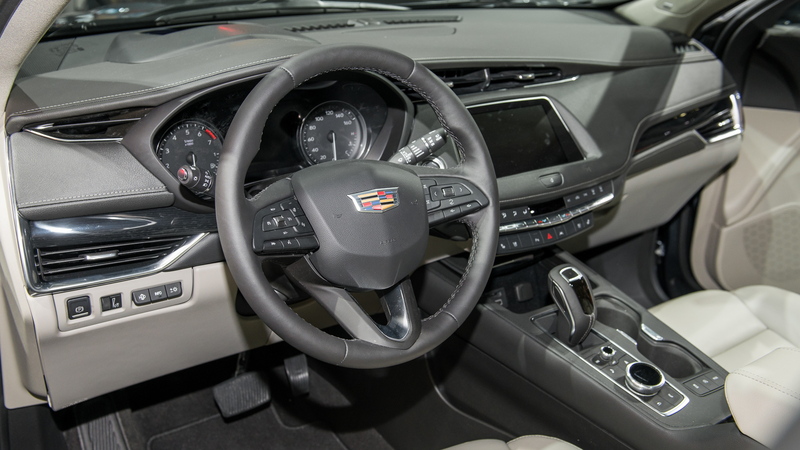 And Cadillac's most promising technology, Super Cruise, is entirely absent.